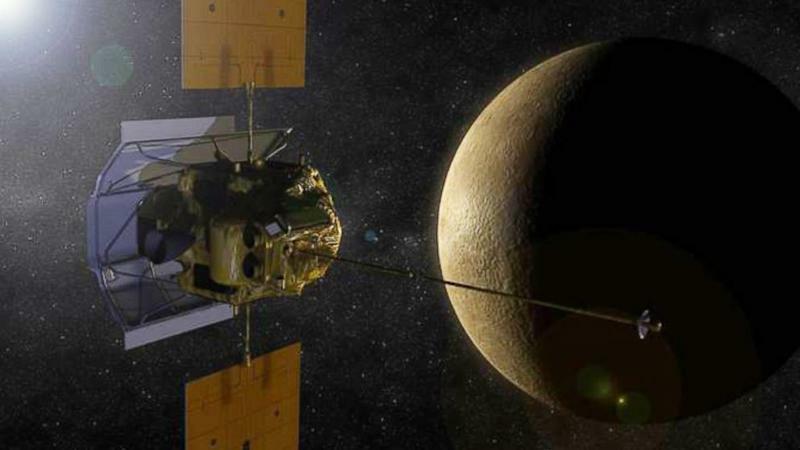 More than a decade of science and exploration will come to an end this week when NASA's MESSENGER probe slams into the surface of Mercury. The collision is expected to happen on Thursday since NASA expects the probe will run out of fuel and then hit Mercury at a speed of around 9,000 mph. It's expected MESSENGER will stay in contact with Earth 10 to 15 minutes before its fatal encounter with the planet closest to the sun. Despite MESSENGER being just three meters across, NASA expects the impact will create a 16-meter-wide crater on the planet. Launching in 2004, MESSENGER traveled nearly 5 billion miles on a route that included 15 trips around the sun, whizzing past Earth once, Venus twice and Mercury three times. It began orbiting Mercury in 2011 and has since been collecting data about the planet to send back to Earth. Among MESSENGER's discoveries about the planet are hollows on its surface, evidence of volcanism and polar deposits of water ice.